Per request from the many Laker builders, the section is dedicated to braggin' about your Laker kayak. I had decided that it was too hot this summer to do Epoxy/fiberglass work. And I was right! 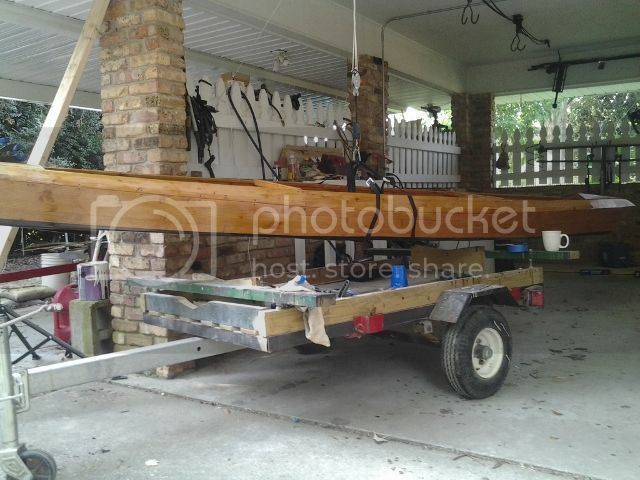 But that did not stop me from doing more boat building than I had planned. 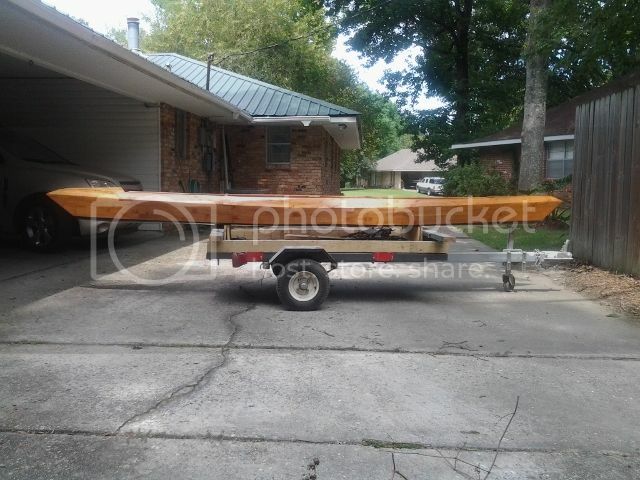 I decided that I needed small, very lite boat for the ponds here around Baton Rouge. I also wanted to learn all the ins & outs of building with the glued stripped panels. So that is how it began. 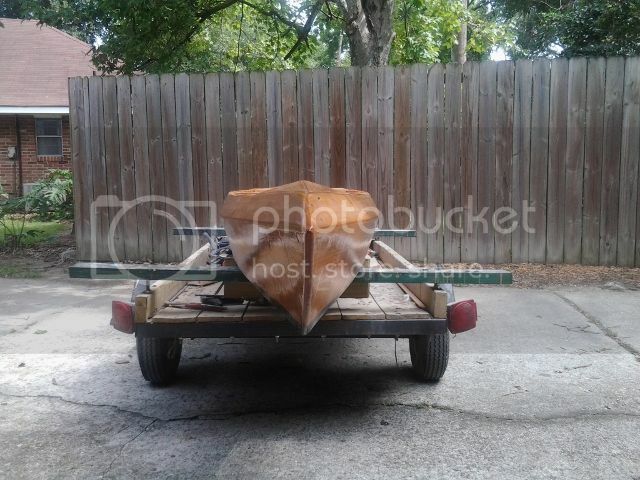 I emailed Matt about payment to build another Laker 14 and I mentioned to him that I planned to build it with tumblehomes and leave it open top like the Lake Cruiser. I had planned to wing it on construction of the tumblehomes, but in a couple of weeks I received a email with drawings of the Laker 14 modified. Now I was off to the boat building races. Gluing the panels turned out to be a non event, though I did buy a planer after using a belt sander on the first 2 panels. 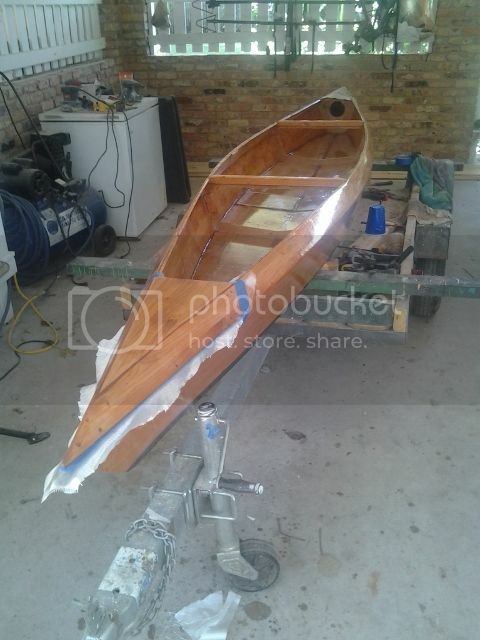 The boat is not finished yet, but she is going to be beautiful. Long and lean and very lite. 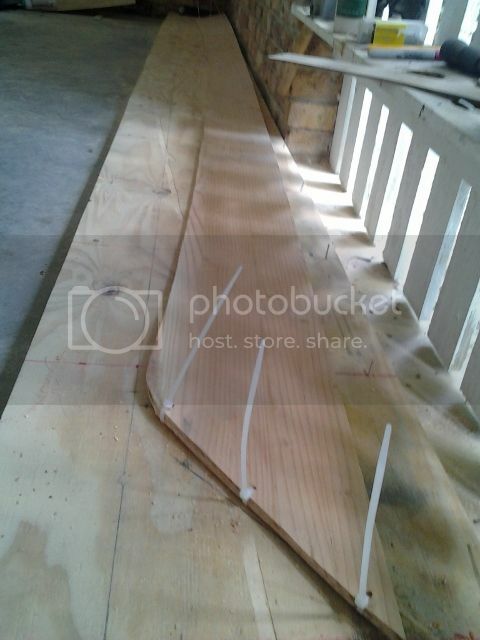 The glued strips are so much easier to work with than plywood. Here is a few photos showing the progress. Wat to go. strip built is much lighter without a doubt. 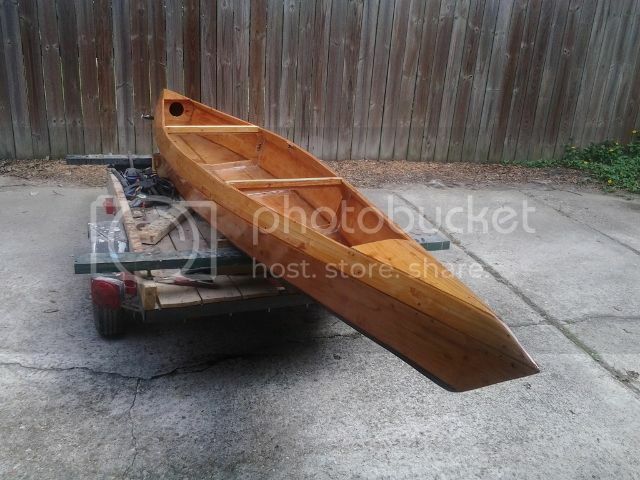 With more appropriate weight in boat. Thanks Makenmend. I originally planned this boat for me, but friend Bonny has put her claim on it. 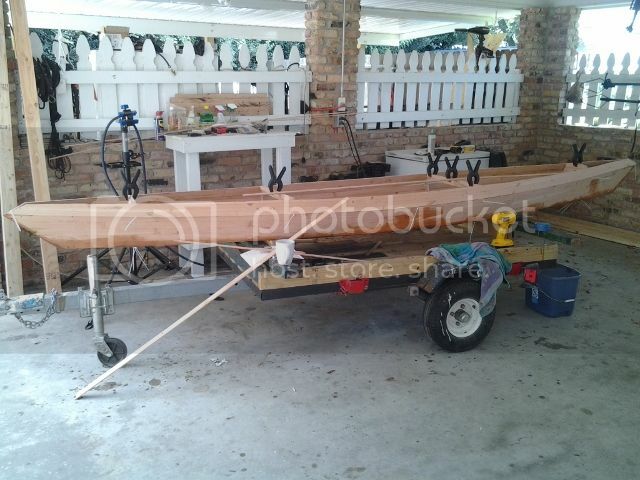 If I had known it was for her, it would have been 12 ft.. She has even given it a Cherokee name "Tayanita". I promised that I would not tell what it means. 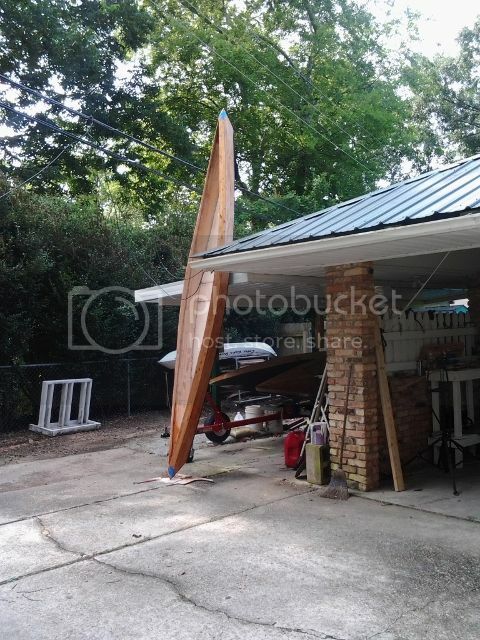 I know it is a great overkill, but I have things to mount in the boat, so I left all 4 forms in the hull for thwarts. The bow and stern each have a nice little storage area. I have them glassed into place. Tomorrow I will fit 20" decks on each end. "Tayanita" got her decks yesterday, and the last glass this morning. No more gluing and glassing. Just lite sanding and lite fill coats. Very close to getting her wet. Looking good. I bet she's fast. Tomorrow, I will add the final fill coat to the decks and any touch up's to the inside. I was drinking coffee in the work area so I thought it would be a good day to weigh "Tayanita". 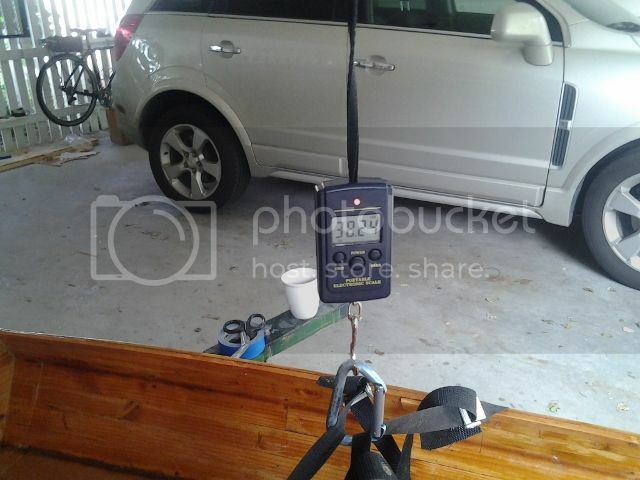 The rigging is .43 lbs, so the boat total will be 38.24 -.43 or 37.81 lbs..
She could weight less, but I went overboard on the thwarts, and a little on the finish epoxy. Tomorrow, I will add 3 oz. to the hull and later of course there will be varnish. Tayanita final. 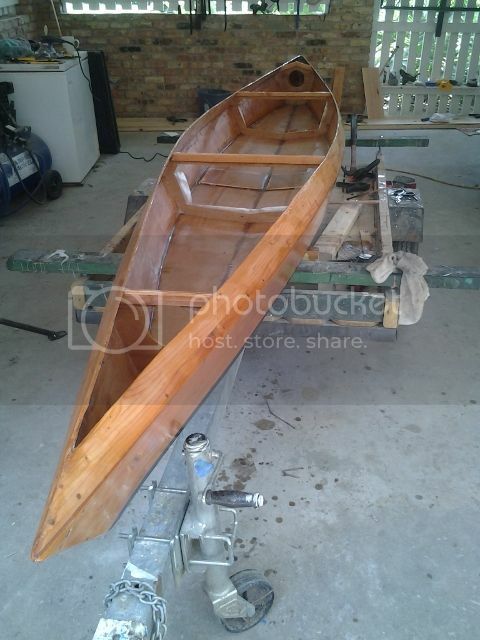 She is ready for her first paddle this weekend. After varnish, she will move to New Orleans for wildlife photo/tagging missions with Bonny at http://blog.al.com/live/2012/03/bonny_s ... s_jou.html. Geez, I like that boat a lot mate. I can't help but thinking that Matt should seriously consider adding her to his already impressive Laker stable. 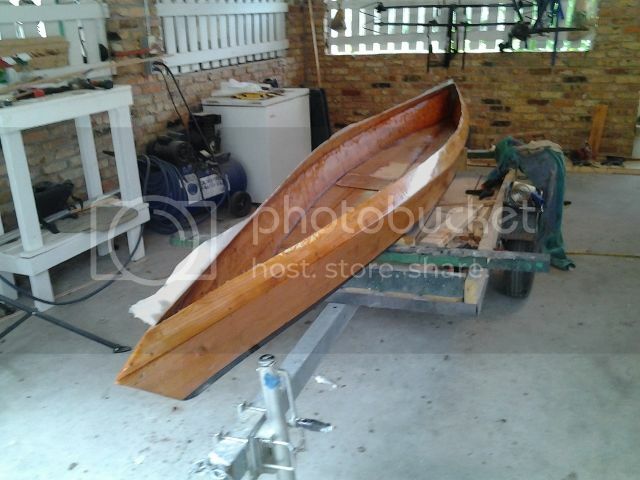 Mick wrote: Geez, I like that boat a lot mate. I can't help but thinking that Matt should seriously consider adding her to his already impressive Laker stable. Thanks Mick. Everyone that has seen it here loves it. I also hope Matt will publish the plans. I am hoping to do something similar to the Okwata for my next build. The Okwata gives me the best stability for using the fly rod and I love the look.